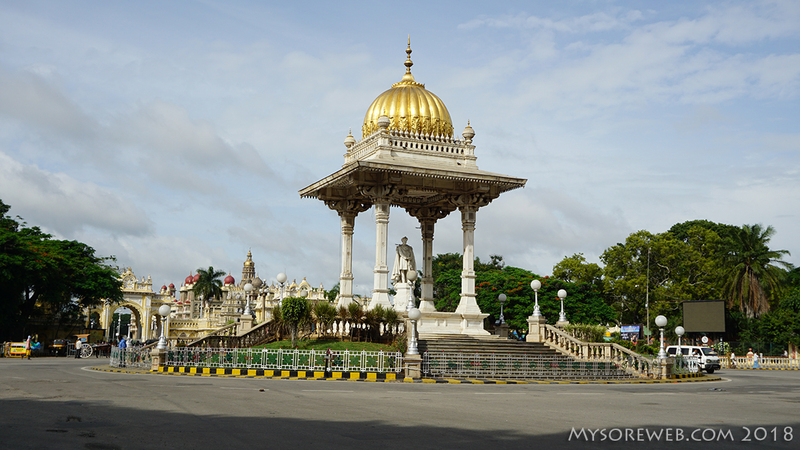 Taking a morning walk near the Town Hall would give anybody a real Mysuru experience. The view of the statue of Nalvadi Krishnaraja Wodeyar, the Kote Anjaneya temple and the clock tower are something to feel onto self. 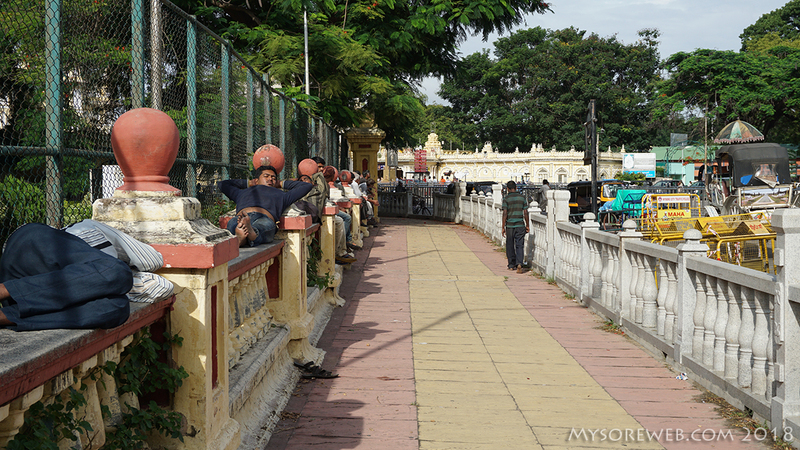 At 07.30 in the morning, the KR Circle block is livelier with morning walkers, temple goers and the tourists. You have to be here at this time to witness the true essence of this place. The sight of Tongas and Tongawallahs and those still sleeping above the compound are fun to capture through your lens. I drove from St. Philomena’s Church via the CSI Wesley Cathedral and Hotel Siddhartha and took a right turn at the Jayachamrajendra Circle (Harding Circle) to enter the Albert Victor road that leads to Sri Kote Anjaneya Temple (only a Mysorean can understand this long sentence). I parked my car near the temple premises and walked towards the clock tower. A newlywed couple arrived at the same time for a photoshoot in front of the temple. This location is indeed the best for photoshoots. 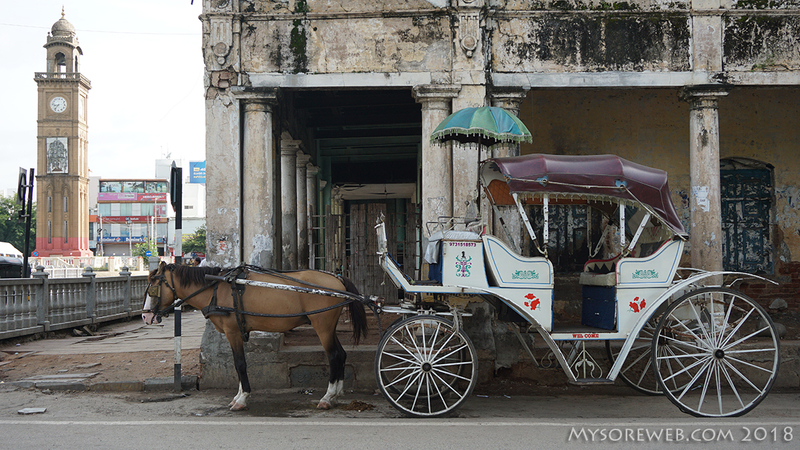 Nothing can beat the beautiful backdrop of palace buildings, horse carts and the happy pigeons. 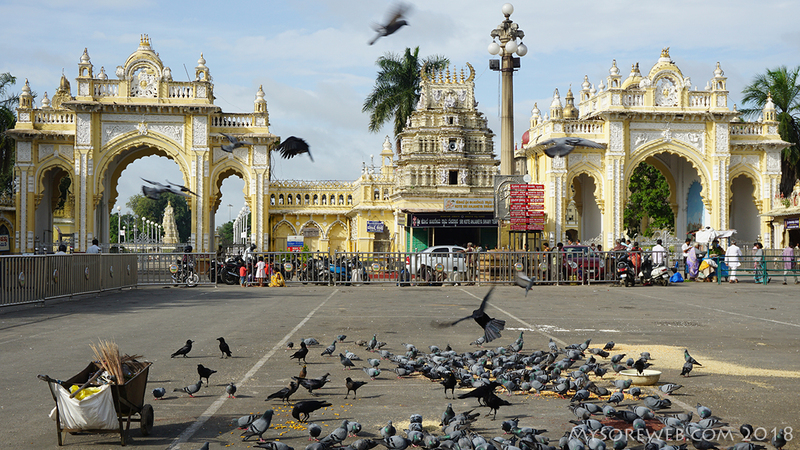 There were several pigeons feasting right in front of the temple. Thanks for those who were kind enough to feed these birds. 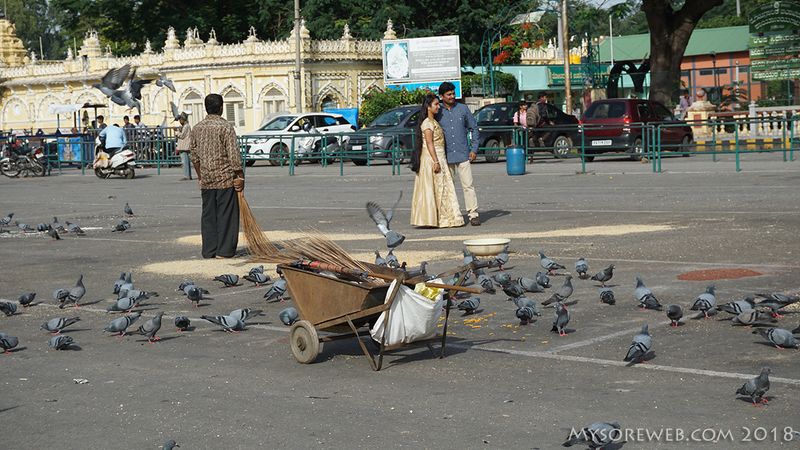 A person walked midst of the pigeons to clean the premises. However, the birds stayed there and some came back after a short fly. It looked like they were used to the daily chores. The couple would have printed their best photos by now. I am sure the photographer avoided the dustbin. As I walked through the pavement, I saw people sleeping above the compound wall. It seemed the early morning sunrays did not bother them. 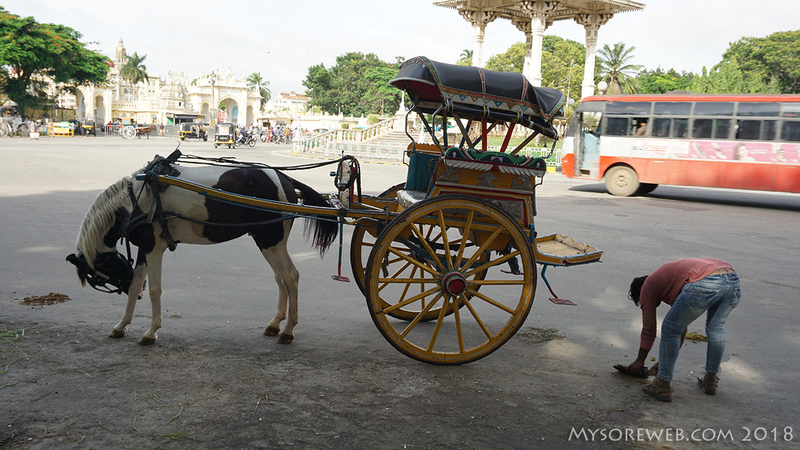 A walk near the clock tower made me realize the drastic changes the royal city of Mysore has gone through from the past two decades. After capturing some moments, I headed to have my breakfast at the MYLARI hotel in the Nazarbad area. All the photographs in this post are straightaway from my Sony Alpha 5100. I have not edited the photographs except for the watermark and have reduced the size to fit the blog. Follow me on the INSTAGRAM and FACEBOOK for photographs and updates. I have a TWITTER handle as well.